A dear friend of mine said “A VIP (Very Idiotic Person) is suspected of protecting this violent fugitive monk Ven. 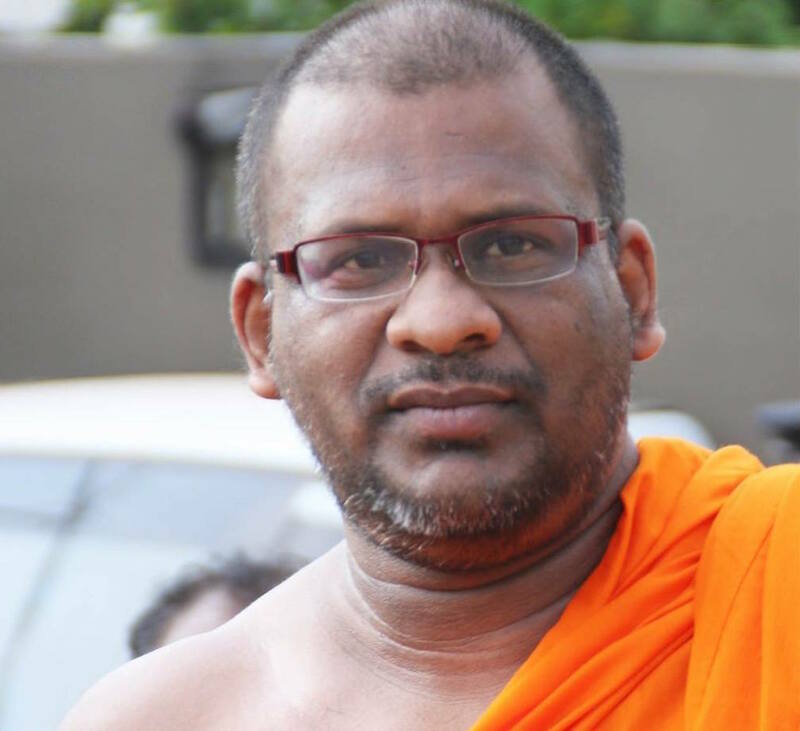 Galagoda Atte Gnanasara Thero from the long arm of the law.” He has caused over 25 incidents of hate, intimidation and violence against Muslims during the last month alone. He has blasphemed Allah, the holy Prophet and Islam in the crudest possible manner that no Muslim can forgive. I suspect that the so-called VIP is from our hallowed Parliament, and is hiding this elusive monk to use him to harness Buddhist votes, little realising that President Mahinda Rajapaksa committed the same blunder. The many police teams deployed on presidential orders to the Inspector General Of Police have not traced his whereabouts, and the president is silent. Is it just one ‘VIP’ or a group or political party that is hiding this so-called monk, who certainly is a disgrace to the noble teachings of Lord Buddha? The Police have to extricate itself from this quagmire, when one arm of the Government orders the arrest, a group within acts contrary to the decision of the President, Prime Minister and the Cabinet of Ministers. Is this what the voters for a government of good governance expected in 2015? This extremist has been causing so much mayhem throughout the country- intimidating and causing violence against the Muslim community that forced the Cabinet of Ministers to intervene. The Cabinet decision to hold the officers of local police stations responsible for any breach of peace in their police area is a welcome move. This could lead to violation of fundamental rights applications filed directly against the OICs of police stations. Regretfully, the majority of the Sinhala media who seem to be supportive of Buddhist extremism has decided to play this cabinet decision down. Media reports claim that several police teams have been deployed to arrest and produce the fugitive monk before the court of law. A travel ban has been imposed on him so that he does not leave the country. He could, using his connections, cross over to India by boat and move towards Myanmar, but I am confident that Myanmar will not host this fugitive, as it has already placed their “Face of Buddhist Terror” Ashin Wirathu under house arrest. It is regrettable that our super efficient cyber crimes police force who were able to trace the young student who had hacked in to the President’s web page and prosecuted him within days, has not been able to trace Ven. Gnanasara Thero despite his regular appearance on social media; this is ample evidence that there is VIP patronage at the monk’s current safe house. It has long being suspected that some rogue elements within the Police department were conniving with Bodu Bala Sena and Ven. Galagoda Atte Gnanasara Thero on his racist mission against the minorities. Clear evidence of this is the access this venerable monk has had to the complaint made at Police headquarters by three cabinet ministers, two parliamentarians and a former provincial councillor. Within hours, he had access to the detailed complaint made by these legislators, and he made a counter complaint/charge at Police Headquarters responding to the Muslim complainants and demanding that the Police takes action against them. It is a well-conceived plan orchestrated with the support of some rogue police officers to sidetrack his arrest. The chandi venerable monk who only a few days ago claimed that he does not fear the Police nor the Judiciary, is on the run. All exit points of the country have been alerted through court orders that he should not be allowed to leave the nation’s shores. Yet, Ven. 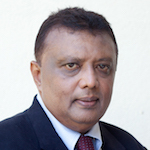 Gnanasara Thero’s regular posts on social media have not been tracked. His outgoing and incoming phone calls have not been investigated, and the location from where he posts his social media messages have not been checked. His recorded messages broadcast can easily be traced if the police seek the assistance of the phone company through the Telecommunication Regulatory Authority (TRC). Further, the civilian head of Bodu Bala Sena, Dr. Dilanthe Withanage states on his Facebook page that Ven. Galagoda Atte Gnanasara is being kept in a safe house. Why have the police not questioned Dr. Withanage or the many other Facebook warriors who claim to be in touch with this fugitive? Will the police be as lethargic as they are now if a man with a cap had insulted lord Buddha the way Ven. Gnanasara Thero insults Allah and the Muslims? It didn’t take 24 hours for the Muslim community to hand over to police the Sri Lanka Thowheed Jamath’s Abdul Razick when he blasphemed lord Buddha. A recent example of Buddhist extremist terror is that of a 17-year-old boy from Dantura in the Kandy district who had posted some blasphemous literature and was being hunted by Buddhist extremists. The Muslim villagers caught and handed him over to the police. The vigilante monks appeared and demanded his release from police custody to deliver their jungle justice. In another incident, a five-month pregnant Muslim woman was arrested on a false charge of injecting something to a child in a bus. She was taken in to custody by police and interrogated based on a complaint by the mother and some other Buddhists. The child in question had fainted in the bus and some who were in the bus had suspected that the Muslim lady had injected something to this child. They had absolutely no material evidence of this. Investigations on the child done at the Kandy general hospital proved that nothing had been injected. The traumatic experience of this pregnant mother is tragic. The question that has still not been answered is as to why she was arrested when there was no evidence of her injecting anything to this child. They found no material proof either and all test proved negative. This kind of harassment and vigilante action calls for fundamental rights action against the police and claims of compensation from the complainant. The poor women do not have the resources to pose a legal challenge and has to live with the stigma of arrest. A few Facebook warriors under various names of Sinhala Ravaya, Sinhale, Mahason Balakaya etc. have been calling the Buddhists to gather to defend the Buddhist nation from invading Muslims. They have become staunch backers of this violent monk, although they fought internecine battles only a few months ago. Who has brought these conflicting warriors together? Is there a hidden force that is bringing unity amongst racists to scuttle the GSP plus concessions and other diplomatic successes of the Government in the international arena? Has the Joint Opposition of Mahinda Rajapaksa got a hidden hand in the sudden re-emergence of Buddhist extremism? The platform slogan of the racist cabal is that the Sri Lankan Buddhist nation would soon become a Muslim nation as the Muslim population is growing at an alarming rate. They probably fear that the reproductive capacity of the Muslims is so potent that by the year 2030, they would have produced 30 million Muslim children!! In the 1881 Census, the population of Sri Lanka stood at 2,750,000. The Buddhists were 1,698,100 and the Muslim population stood at 198,000. The Muslims constituted 7.6% and the Buddhists were 69.3%. More than 120 years later, the Census of 2001 recorded the Muslim population as 1,400,000 where as the Sinhalese population grew up to 13,800,000. During this period, the Hindu Tamil population decreased by approximately 3%, mainly due to their displacement and migration due to the war. The platform slogans of these extremists generate much concern because some men in robes are spewing them. The threat to Sri Lanka, the encroachment in to the Wilpattu, ISIS infiltration and all other accusations has absolutely no foundation. It is the duty of the Government to launch whatever investigation necessary, punish any offender, or take into custody the rumourmongers and provide justice to the falsely accused. Why? Did you lose your wife to a Muslim? You are respected in many ways.Your pain is understandable.However Muslims are a natural threat to the existence of every other race.This is a global threat and world is waking up to this perceived threat in every corner. I have Muslim friends and they are peace loving nice human beings.But you guys have an aim of Islamise the whole world by increasing your numbers.Your statistics are shrewd as you have not put the percentages of increase with your latter figures.Muslims are actively populating the planet and they have no shame in doing that.If you have common sense there is a realistic threat and no other race has this issue.It is only muslims who do this.They follow Quranic versions religiously and propagating their number building mosques every corner without considering the impact of it on other races.I am sure you guys are very happy to see Buddhists show compassion and tolerance to these kind of acts ignorantly until you out number us one day.On that day we may be able to see your true colours my friend (Not personally yours) just like in many other buddhist countries who succumbed to you guys in the past history.That day may not be imminent but Gnanasara is only highlighting this threat although the methodology of doing that is somewhat uncivilized. If Muslims are attacked and Allah is humiliated we denounced those crimes but if Muslims learn to live without posing direct or indirect threat to the existence of others you will have no problem my friend. I can assure you that as most of our country men are peace loving and tolerant. Priya I am sorry your men’s dicks are weak so you cannot produce enough. Why don’t you get your Muslim neighbors help? Priya, “Muslims are actively populating the planet and they have no shame in doing that”: If you’re a Tamil let me ask my long unresolved question, if you can clarify please: you claim your presence in the land for over 2000 years, and your population is merely 13% (that is after 2000 years). 1: Had most of you been married with gay / lesbian relations for generations? 2: Had your men been castrated for generations by Sinhalese kings for any reason? 3: Or, it is your total BS to claim you presence in the land for over 2k years? 4: Or, did you make children to put on sale for other religions to buy? I did not mean to be sarcastic or harsh, but I just need some logical answer here please.